It’s going to take an act of Congress, literally, to force the VA to hand over the money they promised veterans for college in exchange for serving their country. U.S. Sen. Cory Gardner is leading the effort with legislation he crafted to pry the money from the VA’s crippled and clenched fists. The VA keeps giving different excuses (dog ate their computer) about why the payments suddenly stopped what they intend to do to fix it. 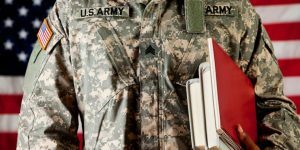 Gardner’s bipartisan bill introduced with U.S. Sen. Doug Jones of Alabama sets up a commission within the VA to audit the monthly stipend system and force the agency to pay back students who were underpaid. “Most problems Congress addresses are complicated and do not have one ‘right’ answer,” Gardner said in a statement. “This is not one of those issues. To me, it’s pretty clear what the right thing to do is: Congress must act to ensure our student veterans receive every penny they are entitled to,” Gardner said. It’s ironic that we never hear about breakdowns in government agencies that prevent them from paying themselves. Just a suggestion, but maybe the VA should put as much energy and innovation into paying our vets as they do themselves.